Fancy boucle yarn is suitable for hats, shawls, scarfs, blankets and etc. Due to the soft hand feel and lightweight texture, fancy boucle yarn is suitable for hats, shawls, scarfs, blankets and etc. It is very popular among knitters and crocheters. Before your hand knitting or crocheting, it may be good for you to know something about fancy boucle yarn. Fancy yarns are yarns with special structures and appearance. Usually, we produce fancy yarns by processing fibers or yarns with special raw materials, special equipment or special technology during spinning and threading. Then it turns out to be a kind of yarns with decorative features. Almost all natural fibers and common chemical fibers can be used as raw materials for the production of fancy yarns. For example, we can use cotton, wool, silk or artificial fibers as raw materials. In fact, we can not only use various fibers separately but also can blend them with each other to make full use of their inherent characteristics. There are many special yarn production methods. And different methods combined can lead to producing new fancy yarn products. Bed decoration fabrics: for bedspreads, bed edges, cushions and etc. with the knotted fancy yarn and chenille yarn. Interior decoration fabrics: curtain fabrics, including crochet curtains, warp knitting, printing, jacquard, edging, and etc. Wall decoration fabrics: widely used in high-level residential buildings, high-level hotels and restaurants in the United States and Western European markets. Furniture decoration fabrics: mainly for various types of furniture, such as sofa fabrics, cushion fabrics, seat fabrics, screen materials, and etc. The main difference between fancy yarns and ordinary yarns is the appearance. The distribution of ordinary yarns is even and the twists are even, too, while the fancy yarns are uneven in thickness and elasticity. Mainly, the materials of fancy yarns are chemical blend fibers. Boucle yarn (loop yarn) is a kind of fancy yarn. It generally has three parts: center yarn, pressure yarn (or reinforcement wire) and decorative yarn. Centre and pressure yarns are often made of filaments or acrylic. The decorative yarn is the part of the circle on the twisting machine. It can be a variety of woolen raw materials or cotton rovings. The finished product of the boucle yarn has a regular loop effect, that’s where its name come from. Main applications of fancy boucle yarn. 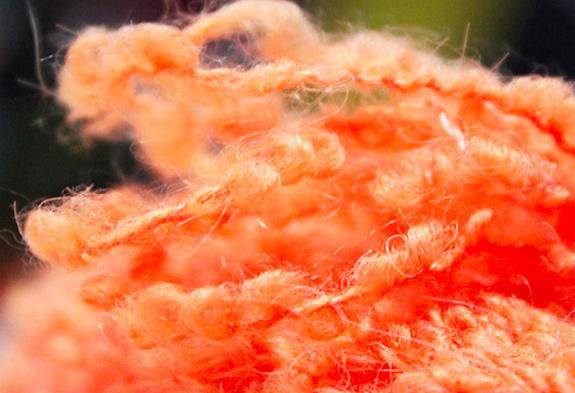 Fancy boucle yarns are often used in woolen spinning products. Boucle – carded yarns made of wool and some mohair wool yarn as the decorative yarn. The weft-buoying tissue is used to highlight the boucle, so that the surface of the fabric is full of circles, looking like lambskin. The black boucle being as the bottom color, other colors are used for latitude and longitude to form a colorful grid pattern. This type of fabric made of fancy boucle yarns increases the added value of products with the appearance of colorful circles. It is a good way to make the products affordable because of low wool content and relatively low cost. Interweaving boucle yarns of two colors can make the double-colored boucle yarn. After the process of brushing and shearing, the surface of the fabric has a smooth hand feel. There is also a certain bending effect, which becomes a new style of coating fabrics. They are soft, fluffy, lightweight, easy to dye, light-resistant, antibacterial and etc. The natural benefits are very stable. Suitable for scarves, sweaters, hats, coats, and jacquard. Different composition and different technology can produce different sorts of fancy boucle yarns. As a wool fabric manufacturer, we provide a wide range of sample colors for you. Also, you can customize color and composition you want and we make lap dips for you. We are always pleased and try our best to satisfy your needs. This entry was posted in blog and tagged boucle yarn, fancy yarn.